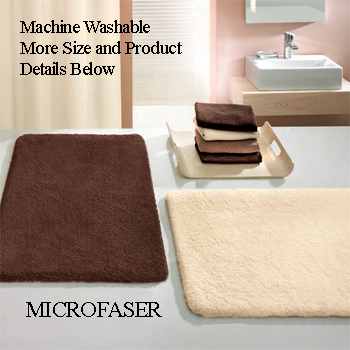 Exceptionally soft single color microfiber bath rugs. Quick drying velvety soft bathroom rugs design. Designed and produced by well-known German brand Kleine Wolke, established in 1968, and is backed by their quality guarantee.. Individually tufted and made of long wearing, durable polyacrylic micro fiber yarn. Unique non slip backing. See non slip backing details below.